Overlooking the Cheshire Plain, plumb in 262 acres of wooded grounds, Shrigley Hall stands on the western edge of the Peak District, in the delightful village of Pott Shrigley. Built in 1825 as a family home for MP William Turner, Shrigley Hall’s neoclassical credentials are nowhere better demonstrated than in its flamboyant staircase rising to a circular skylight. In stark contrast, the swimming pool is housed in a former chapel, built in the 18th century for the Salesians and designed in the Arts and Crafts style by the celebrated architect Philip Tilden. Shrigley Hall Hotel has plenty to recommend it – an 18-hole championship golf course, a health club, 4 spa therapy rooms (psst! there’s a Decléor treatment menu), and outdoor tennis courts. Expect fine dining with a double portion of gorgeous views when you eat at The Oakridge Restaurant, housed in the Georgian orangery. The menu changes weekly and reflects local fayre. A (tweed) hatful of country pursuits include carp fishing, circular walks (maps at reception), and bicycling. Slow things down, or get your heart pumping. At Shrigley, you can do both. The surrounding landscape is littered with stately homes. Littering at its best, courtesy of the National Trust. Lyme Park starred on screen in the BBC adaptation of Pride and Prejudice. 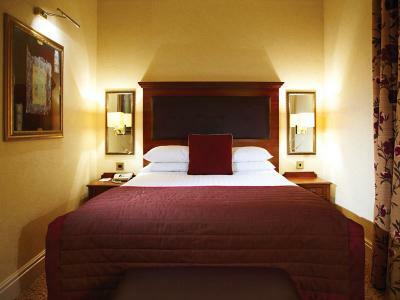 Double Bed, Free Wi-Fi, Satellite TV, Work Desk, Sitting Area, Ironing, Hairdryer, Luxury Toiletries. 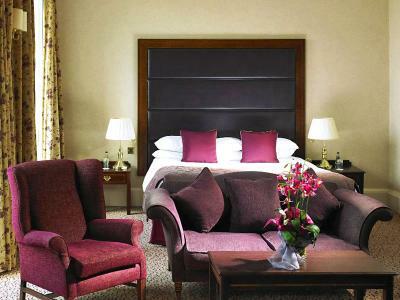 We're excited to announce that we're currently undergoing a multi-million pound refurbishment programme, including all of our bedrooms. 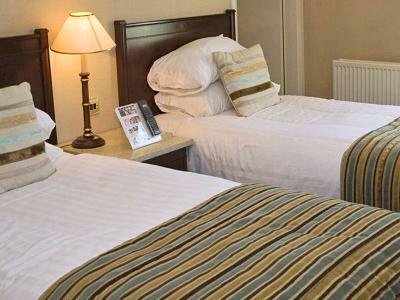 If you would like to guarantee one of our newly refurbished rooms for your stay with us, there is the option to upgrade your room during the booking process for just £10 per room, per night. 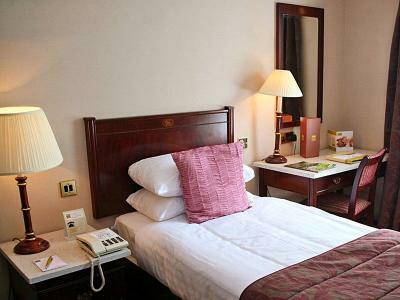 Standard Twin, 2 Single Beds, Free Wi-Fi, Satellite TV, Work Desk, Sitting Area, Ironing, Hairdryer, Luxury Toiletries. 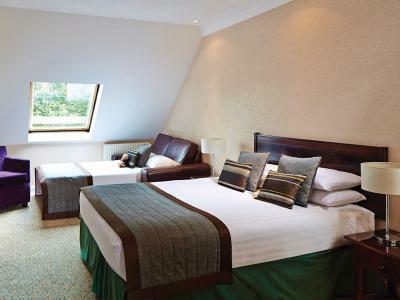 We're excited to announce that we're currently undergoing a multi-million pound refurbishment programme, including all of our bedrooms. 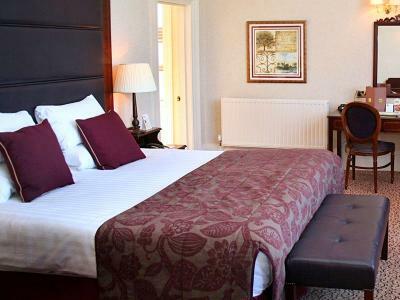 If you would like to guarantee one of our newly refurbished rooms for your stay with us, there is the option to upgrade your room during the booking process for just £10 per room, per night. 3 x Double Beds. Sleeps up to 6 people. 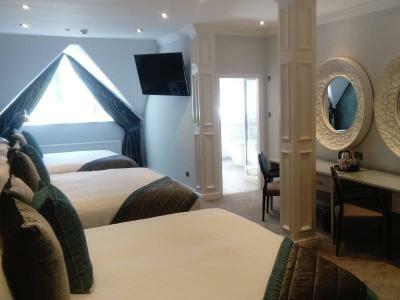 Free Wi-Fi, Satellite TV, Work Desk, Sitting Area, Ironing, Hairdryer, Luxury Toiletries. 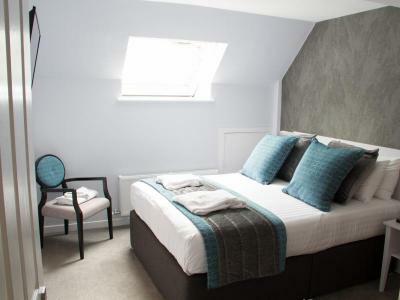 Located on the 3rd Floor and benefiting from a quiet location with easy access to the car park via the rear reception, our newly refurbished suites consist of a lounge area, main bedroom with a comfortable double bed and an en-suite bathroom.